Floral Sketchbook 1 Digikit (coloured digitally see how here). 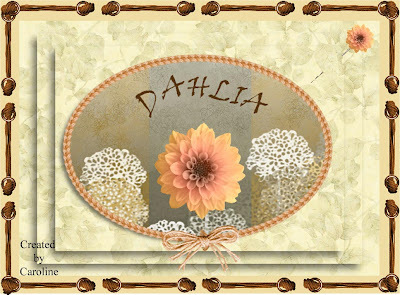 The beige leafy background is from Joanna Sheen Thomas Kincade CD, decoupaged in CAP2. The oval rope border is one of CAP2's brushes and the bow from one of the Daisytrail Digikits. The knotted border is from Pam LeFors as is the pin which has had the middle removed and a small dahlia placed on the pin head. I should add that dahlias are late flowering plants and so overlap into autumn! Love this flower Caroline it makes a fab card. your quite right about the dahlia, my daughters garden is full of them at the moment. I love your flower and the knotted border, makes for one gorgeous card. thank you for joining us at CD Sunday this week Caroline. Thank you for sharing is with us at CD Sunday. What a great card Caroline. There is so much to look at and you are so expert with all these digital images. The Dahlia is beautiful - one of my favourite flowers. They last so long indoors. A stunning card Caroline, the Dahlia is gorgeous and a beautiful colour. We still have some in flower in our garden. Thanks for joining us at CD Sunday. 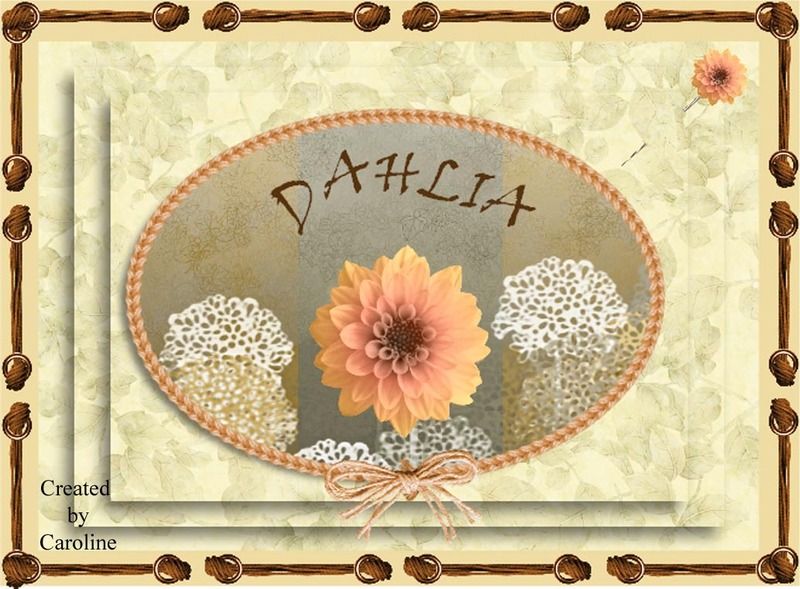 A gorgeous card Caroline, I love the Daliha. We grew these in our garden for years then lost all of the bulbs and never replaced them. Maybe I should think of getting some more. Thanks for joining in at CD Sunday this week. I love the soft colours you have used on this one and it reminds me that we still have lots of lovely flowers in the garden. Caroline this is absolutely gorgeous - love that Dahlia.